Looks pretty impressive already! Those buttonholes look amazing! Awesome, truly! I am hemming and haa’ing over starting a coat myself! The tricks our minds can play on us! I think you have all the fussy bits out of the way, and the rest will be easy peasy. Maybe not fast, but easy. Cheers! Thank you Maris. 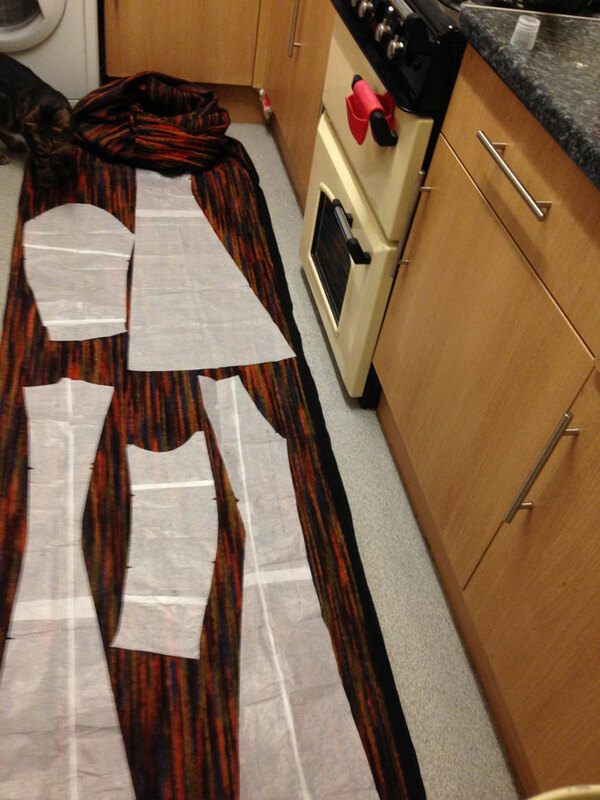 I think the thought of making a coat is more daunting than the actual making of it. One step at a time, like most projects! Looks fantastic! Love the image of you turning circles in the shower!!! Thanks lovely Karen. All my best decision making… and dancing, is done in the shower! woah, looking pretty darned good so far!! Thank you Anne. I’m getting there, very slowly! Gorgeous! Love the buttonholes, Karen’s book seems to be a must buy! Thank you DD. It certainly is. Only a couple of quid to save a lot of stress! I love your fabric choice!! So bold, and what gorgeous colors 😉 That coat will be rockin’!! Thanks Siri. I do hope so. Fingers crossed! That is going to be gorgeous, I love the fabric! 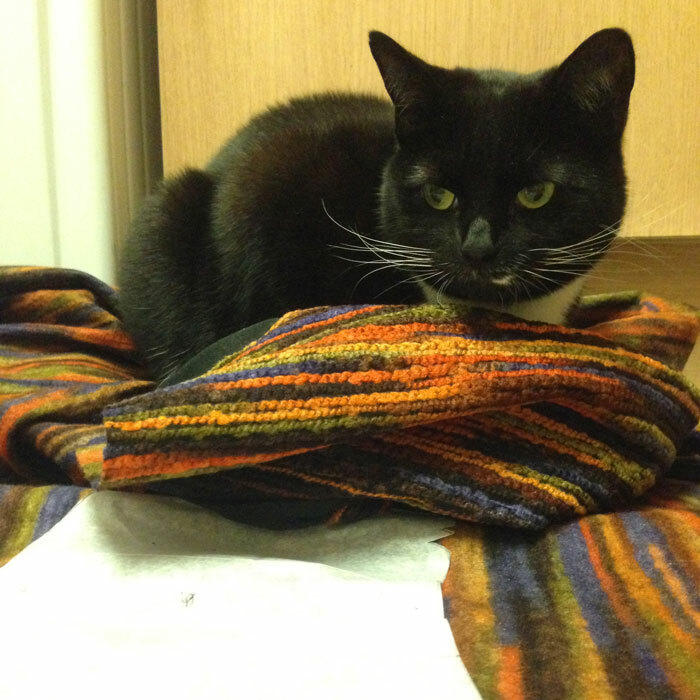 that fabric is divine – in all its unwooliness – can’t wait to see the finished beauty! Thank you Louize. I forgot to add how fleecy it is on the inside, though you can probably see that. Could do with some of that warmth today! Thank you Geo. Lol. I guess it is a little attention-seeky! Your bound buttonholes look amazing! Love the fabric choice too. Thank you Claire. I am both amazed and oh so pleased at how they turned out! Looks fantastic! and yes, that fabric is perfect! And I totally understand fabric dilemma, you can see perfect fabric for– well, what?? but the fabric in your mind’s eye, that you need for this project, no-one sells it! I look forward to seeing the finished article! Thank you Mammafairy! I knew you’d understand! This is incredible! Love all those details about it and I’m laughing for a great time with your thinking about finding pockets when you will be wearing it. Thank you so much. Lovely comment. I so want to be at home today making more progress! Thanks everso Lizzy. I wish you would. It’s bloomin’ freezing today! Oh, wow! This has greatness in the making! Your coat is going to be amazing!! I can’t wait to see it finished and you parading around London in it. Thank you Marj. I do hope so. Mr O is lined up for the shoot! ps I also think there should be some kind of yoga programme for sewists because of all the positions you contort yourself into to get shiz done. Wow, that is looking fantastic, and those buttonholes. I cannot wait to see the finished article – hurry up!!! Oh My! My heart is racing reading this, can’t wait to see the finished coat. 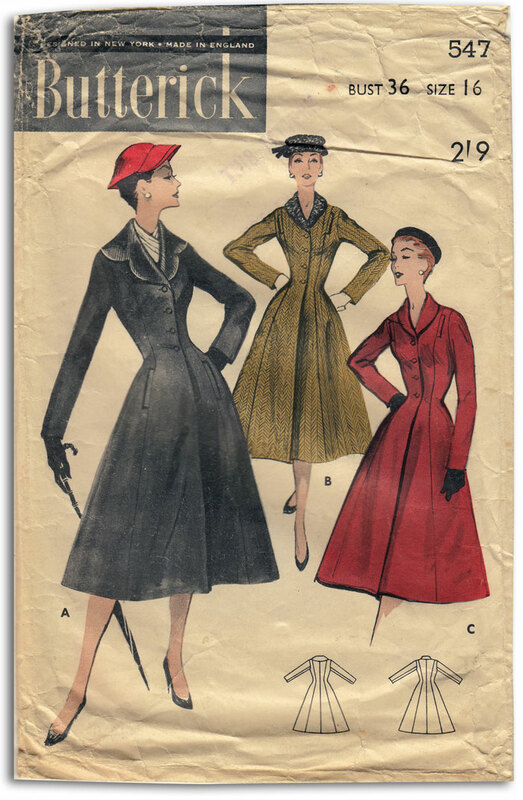 I’ve wanted to make a coat like this for years, but never have found the right pattern. It looks like it will be wonderful. It’s looking amazing! I love the fabric, good luck with the rest of it. That’s gonna be one amazing coat. Can’t wait to see it all finished! What amazing fabric that is. 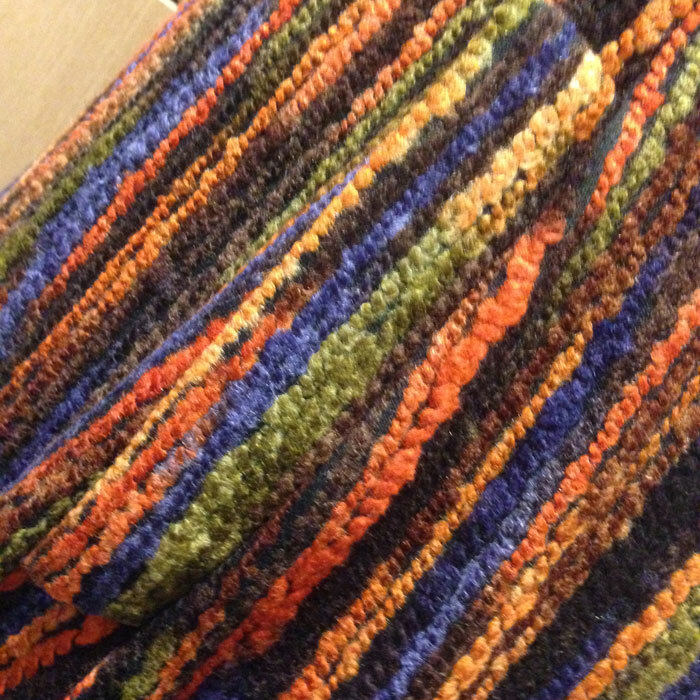 The texture looks almost like chenille. And I had to look really hard to spot the welt. It’s going to be spectacular! I HATE cutting out on the floor too, so painful. I cannot figure out if a cat would make the process better or worse? I have to lock the kitten in the bathroom when I do floor cutting or pattern tracing. It sounds mean but she LOOOOVES pouncing on the perfectly placed pieces when they are HALF CUT. Yeah. And then she gets the older one involved and it’s game over. Without her instigating he’s pretty good, but the two of them… no. LOL. Who wants a coat that disappears into the crowd (I saw that to be a very definite tendency in the UK when I arrived there after living in Italy for a year; all that winter-clothing greyness really took me aback)? Yours certainly won’t and it looks wonderful already! It’s hot enough here at the moment that I’m not jealous. Not yet! 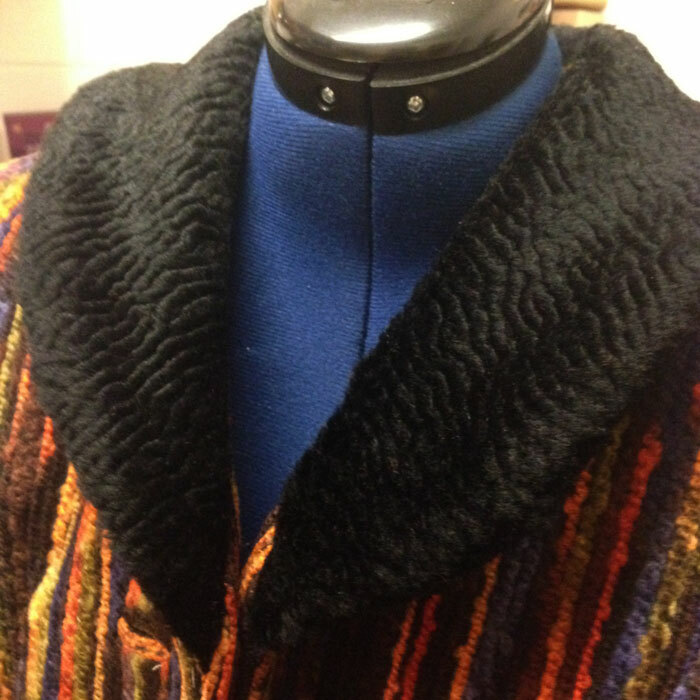 But I am, like everyone else, really looking forward to seeing the finished garment. it’s going to be wonderful. Thank you Chinelo. It was a timely make for this chilly weather! 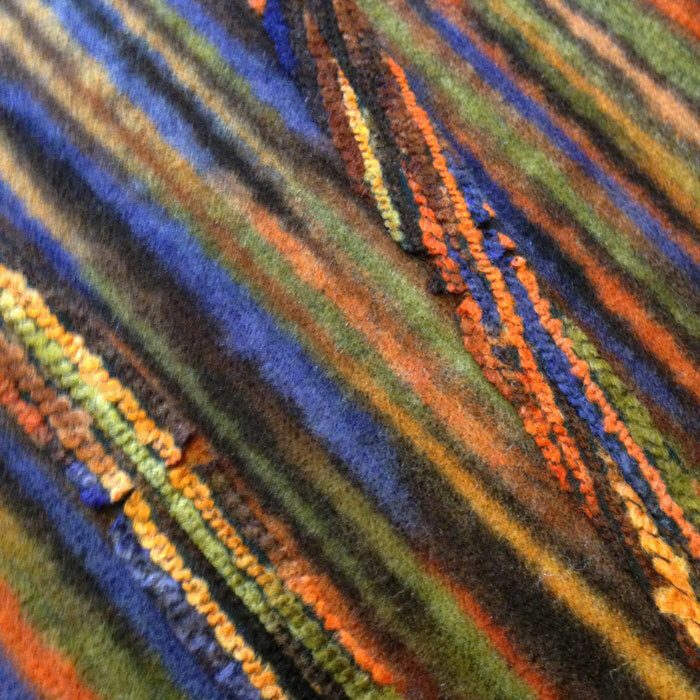 Next PostNext My Vintage Dreamcoat!